The LG G Flex is certainly an attention-grabbing device but US users couldn’t get it – until now. LG has partnered with three US carriers - AT&T, T-Mobile and Sprint to bring the unique phablet to a new market. 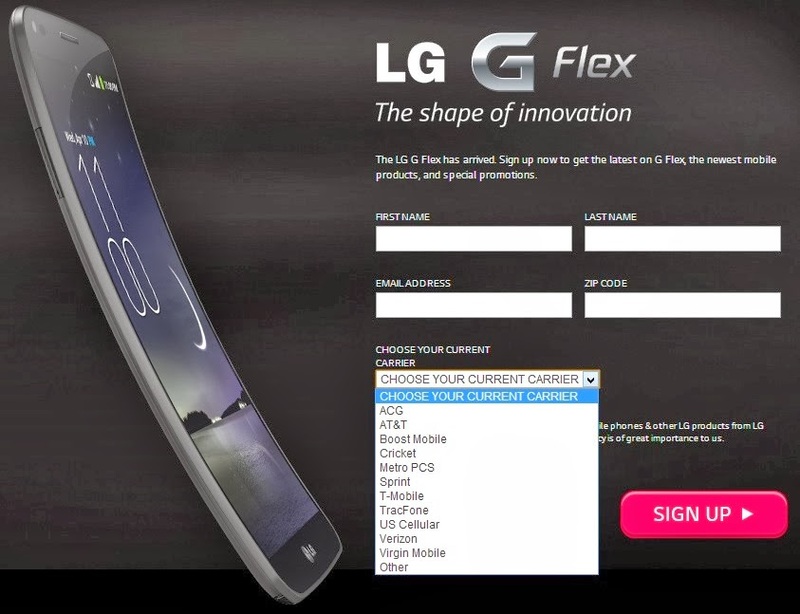 They'll be releasing the G Flex some time in Q1. The Vice President of Sprint, David Owens, came on stage to share that he's been using the phablet recently and said it drew tons of attention. Unfortunately, Owens fdidn't mention the price of the LG G Flex, saying only that it will support Sprint's LTE Network, Spark, offering no more details about the launch. Now we're waiting for the three carriers to announce the pre-order. For now, you can just sign up to be notified for updates.